Events — Marken Media Co. Enjoy a night of music and song from local artists. Want to perform in the music night lineup? Email Marcus at markenmediaco@gmail.com and send a sample of your music. Devine Chamber members! Make note of TUESDAY, MAY 7 at 6 p.m., our next chamber meeting which will be held at Marken (203 E. College Ave., C). Topics to be discussed: the summer golf tournament, fall fest entertainment, and servant leadership. You won’t want to miss this chance to connect with fellow local business owners! Non-members are welcome to visit and encouraged to join. Come shop at the Marken Market! Items will be handmade, homemade, and more. Vendors to include quilters, crafters, woodworkers just to name a few! This quarter’s market will be held on the sidewalk under our porch and along the color wall while our Mother’s Day weekend floral workshop takes place inside. Connie from the Daydreamer’s Floral Designs teaches you the art of creating your own spring-inspired bouquet that you get to take home. Makes a great Mother's Day gift! Tickets cost $40 and includes you, one arrangement, and light refreshments during the event. Reserve now! Get your ticket straight from Marken by visiting 203 E. College Ave., C during business hours, emailing Marcus at markenmediaco@gmail.com, or calling 210-728-6476. Stroll through opening night of the Local Art Show during our adults-only evening. Artwork will be available for sale. Pick up after the exhibit ends. Devine Chamber members! Make note of TUESDAY, MARCH 5 at 6 p.m., our next chamber meeting which will be held at Marken (203 E. College Ave., C). Topics to be discussed: the summer golf tournament, goal-setting, and the theme for fall fest. You won’t want to miss this chance to connect with fellow local business owners! Non-members are welcome to visit and encouraged to join. Reserve now at https://www.eventbrite.com/e/floral-design-workshop-tickets-55593349204, or get your ticket straight from Marken at 210-728-6476. Devine Chamber members! Make note of TUESDAY, MARCH 5 at 6 p.m., our next chamber meeting which will be held at Marken (203 E. College Ave., C). We will have Roxanne Carter - Hondo Chamber’s Executive Director as our guest speaker. You won’t want to miss this chance to connect with fellow local business owners! + order food from the Just Grillin' and Chillin' food truck parked outside at 6pm. All items will be handmade or homemade. 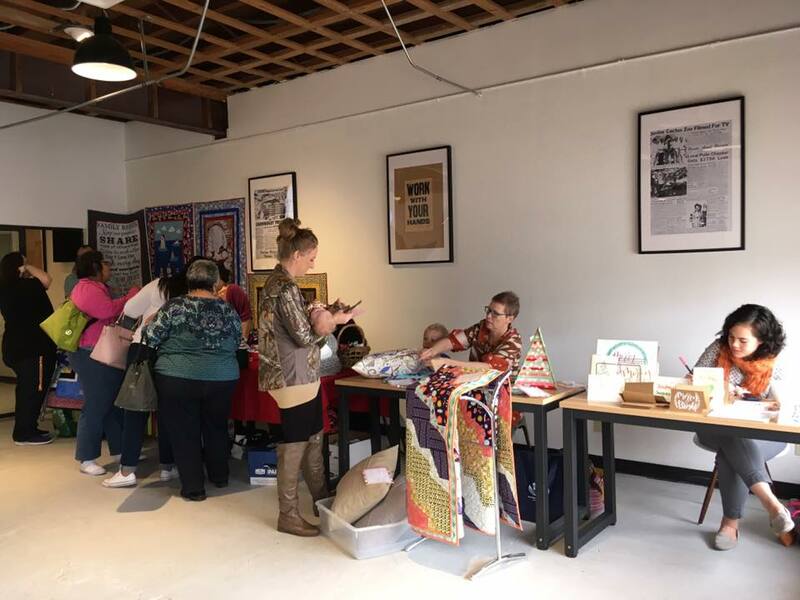 Vendors to include quilters, crafters, woodworkers and more! This Marken Market will be open to all types of vendors. Reserve your table today for $10 ($15 after Jan 1). Limited space available. Santa is coming to Marken! Take your picture with Santa! Get the digital file of the photo via email. Photo Packages also available for order. Get a FREE Basic Photo Package when you bring a new, unwrapped toy for HANK (Helping Abused and Neglected Kids). *Photo packages available for pick up within 10 business days. Susan Rios, Uvalde Main Street Manager, discusses the Texas Main Street Program & Economic Development through Historic Preservation. Come learn about the Main Street program, what it does, and how it can help revitalize and grow downtown Devine, and what it can do for you and your business.